This is one of the most common questions we receive everyday. The simplest way to start is by knowing your magic number. Investing is a journey. And with every journey, you have to know where you want to go. The only time you should move forward is once you know where your destination is. Think of the amount you need to live the life that you want. This number should cover whatever purpose you may have. It may be for retirement, health care, education, vacation, etc. This is your Magic Number or your financial goal. Do you know how much your current lifestyle costs? Let’s say you are single, and you need around P30,000 a month to survive. P30,000 multiplied by 12 months is P360,000 a year. Round it off to P400,000 so you have extra for emergency. Now if you have 4 million pesos that earns 10% a year, you already got your current lifestyle covered. But of course, as you grow older, get married, and have a child, your magic number will change as well. That is why you have to keep updating this. How will you know that you can actually retire if you don’t know your magic number? That is why it’s called magic. Once you have it, it changes the entire way you live. Back in 2007, I was about to get married. And since we are about to start a family, the attitude should be more focused. So the first thing I did was resign. I also asked my wife to to resign as well. What a crazy thing to do, right? Why was I able to do that? I already got my magic number. I knew what I wanted. I knew how much I had and I knew how much it could make. I had my money work for me. The next 4 years, I stayed at home and watched my son grow up. I started working again in 2011 simply because COL gave me an opportunity I could not resist. How Long Should I Invest? Another way of getting your magic number is knowing the ideal age to enjoy the life you want. If your first magic number will tell you how much you need, the second one will tell you when you should have it. At what age do you want to retire, or achieve your financial goal? You have to know this too, because this will determine how much time you have to invest and grow your money. This will establish your time frame and help you choose which investment is right for you. If your magic number is the destination, your investment is the vehicle to get there. Look for an investment that will help you achieve your magic number. But before you do that, there are things that you have to consider – like the time you have and the risks involved. Different people have different magic numbers. Depending on your financial goal and situation in life, there is an investment that is best suited for you. Whatever investments you go into, you should be able to get what you want. Once you have it, do you still need to work? If you want to, you could but you don’t have to. A lot of successful people fail to do this – doctors, lawyers, and celebrities especially. Most of them enjoy what they do, but a lot of them are also terrified to stop because they don’t have enough savings. Whether you want to invest in stocks, mutual funds, or other investment vehicles – knowing what you want to accomplish and when you want to have it, will be your compass on where to invest your hard-earned money. For example, an 80 year old retiree who wants to place his money in a long term investment like a mutual fund – his time frame and the time needed for the investment to mature don’t match. Knowing your magic number will help align your resources, investment strategy, and goals. Find your magic number first. 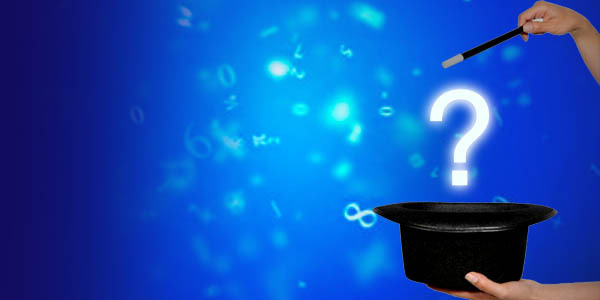 Question: Now you know the importance of getting your magic number, how will it affect your investment decisions? Start first by determining how much your current lifestyle costs. Then, make a simple projection as to how much it will take to maintain this lifestyle by including inflation. You can do this via excel. Ex. If your current lifestyle costs 100k / month, a 5% inflation rate means that it will take 105K to live that way next year. Unless you are able to make that amount, you will have to downgrade your lifestyle moving forward. From those figures, you should then look for investments or passive sources of income to augment your regular income otherwise you will be unable to sustain your lifestyle as you age and expenses get higher. Now i know my goal, can you help me on how to invest in the stock market because i’m you on this don’t how to start and how it work? You can attend my seminars at COL if you want. They are held every Thursday at 3:30 pm sa COL office sa Ortigas. Meron din ang PSE kung gusto mo sa kanila. Thanks for sharing another informative tips on investing . As a newbie i watched all the episode of Pesos and Sense on You Tube and attended on your seminar at COL. I’ve admire your advocacy on financial literacy especially to OFW like me. Once again thank you so much. Hello iam working as ofw can u help me on how to invest in mutual fund and if iam qualified? You can go to http://www.pifa.com.ph to see the performance of mutual funds. Google the fund you are interested in to see their requirement kasi iba-iba din yan. Hi Aya! It would be more helpful if you could give examples on the computations on how long a person should invest and how to get there to be able to reach their magic numbers. Your lifestyle costs 100k a month or 1.2M a year. Accumulate 12M and earn 10% a year in passive income then you don’t have to work anymore. Again, that is a VERY simplistic example because every year our costs increase so we have to be very vigilant on monitoring it and we have to start investing early. Hi, Sir Aya, how are you? As an OFW, my current lifestyle EXACTLY matches your example. It made me quite easier to compute and learn about my MAGIC NUMBER, and I am very much interested in investing… However, as of the moment I am still contemplating on all the knowledge I am learning from this website. As you have always been saying, while it is true that it is better to start early, kailangan pa rin pag-aralan munang mabuti. I am planning to start by June, when I come home for a vacation. 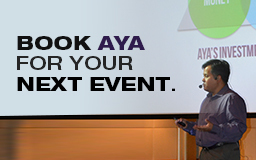 I hope to attend one of your seminars kung magkakaroon po kayo ng schedule by that month. May nabubuo na rin po kasing plan sa isip ko kung saan ako mag-i-start pero gusto ko pa rin ng additional guidance. You are indeed doing a good job here and i love your videos, buti na lang TAGALOG, mas madaling maintindihan ng mga pinoy! What is the difference between mutual fund and stock investment? Mutual funds invest in assets like stocks and bonds. Sa stocks, part-owner ka ng isang company. Sa MF, you own shares in a fund managed by a person and that fund MAY invest in stocks. Can you be invited to give a talk to my sales group? Real Estate Agents who have the habit of spending all after a whopping commission? Hi . .i am a teacher . . i want to invest my money . . can you please guide me . . its like a child learning how to walk on his own . .thanks . .!! Madalas po ako makakita nang percentage nang ROI sa mutual fund na pababa. Pwede nyo po explain nang simple? Returns of Mutual Funds are not guaranteed so minsan bumababa sila. mag compound interest or cash dividents din ba ang stock market yearly? Not always. Walang guaranteed return sa stocks. I have started investing in the stock market just recently and have also shared my new found ‘knowledge’ with my family. Now, my mom, who is a retiree and depending solely on her monthly pension suddenly asked if she could also invest. I was caught off-guard and was not able to give any sensible answer…:( So my question is, will investing in equities be a good investment option for her?…if not, then aside from equities, what are other investment options that senior citizens like her could invest in? preferably those that would give them yearly income? Sir aya, based on your example na 100k at 10% interest. If invested in the stock market, applicable rin po ba ang 10% annually na kikitain mo? Aya, okay I’ve set my magic number. So ang goal ko sa pag-invest sa stock market is to reach my destination – my magic number. But once I get there, where should I put my money next to earn a passive income to support my living expenses? Like on your example above where you mentioned “Now if you have 4 million pesos that earns 10% a year, you already got your current lifestyle covered.” Thanks! I’m a fresh grad and started work around april and I’ve always wondered what can I do with my hard-earned money. Since college I’ve been wanting to enter into stock market but of course I didn’t have enough knowledge about it and also scared to enter it because I’m a student(now I know better). I haven’t entered the stock market yet but I want to, just not in the next few months I guess. Anyway, I’ve listed down my financial goals and the time I have to reach at least half of the amount for each goals. My current salary can only save small, something around 2.5k(inclusive of 10 and 20 of the 10-20-70 rule) per payday(twice a month). Every year our company gives a hefty salary raise based on performance, assuming my current salary is still my salary every month, disregarding the salary raise per year and I would get regular in my job, what kind of investments can I put my money in to reach my sister’s college fund? Can you suggest insurance/investment companies that I can invest my money in for this specific goal? This is my priority financial goal right now because it’s in the nearest future. I am saving up for myself, but I want to reach at least half of it in 2 years. I’d appreciate your insights on this. Gusto ko sanang mag invest sa mutual funds, and napag alaman ko na napasok mo na rin yun. based on your experience, ano yung advantages and disadvantages nito? Thanks for the guidelines to know my majic number. And now I know my majic number where can I put it to earn 10% annually? What vehicle should I inquire to get my 10% return of investment what company is offering 10% annual gain? I want to live my life happily and I want to retire ASAP. Please anyone can give me a respectful and trustworthy company. Thank you in advance. this sector don’t realize this. Yoou must continue your writing. i would wait for up coming schedule for the month of december. Ano ba ang suited investment sa gaya ko na nasa abroad? Im coming back every year or two years sa pinas. I want to invest minimum of 5 years atleast. Medyo may idea na ko between MF and UITF. Is there any more option na pwede kong pag invest-san? Pwede ko bang ma update ang na invest ko kahit wala ako jan? Sana mabigyan mo ko ng ideas san magandang mag invest ng money. pirater et je vous le fait gratuitement. Undeniably believe that which you said. Your favourite justification appeared to be at the web the easiest factor to understand of. Hi I am a teacher. I really don’t know What is The entire process if I am already an account at colfinancial..is it really difficult to manage? I am currently setting a financial goal by using the living wage given by Ibon Foundation (which is about PHP 1,022.00/day) as a base magic number. I would like to ask which inflation rate is better to use in adjusting my magic number. Is it the 2012 average inflation rate or the inflation rate of the previous year? My financial goal is quite long term; about 20 years from now. And I’m currently 16.